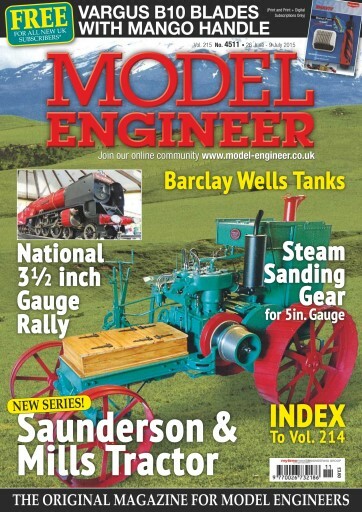 Plenty of variety this time: locomotive building in the form of a 71Ž4 inch gauge ‘Darj’ and Terence Holland’s 5 inch gauge Barclay Well Tanks; two steam stationary engines for novice engineers; a scaled up I/C engine for the more advanced model engineer and the conclusion of the short article on illuminating your workshop machinery. 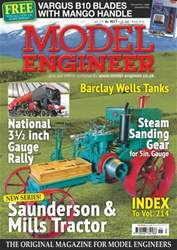 We have some uncommon detailing for 5 inch gauge locomotives by Clive Fenn and a report on the National 3 1Ž2 inch Gauge Rally held recently at Leyland. 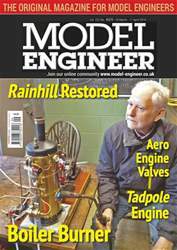 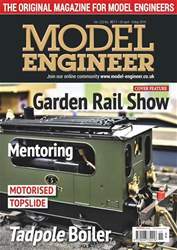 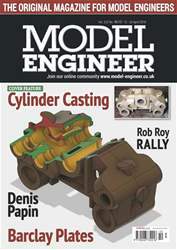 Our cover feature this time is a new series featuring a beautiful 3 inch scale model of an early 20th Century agricultural tractor by the talented George Punter.